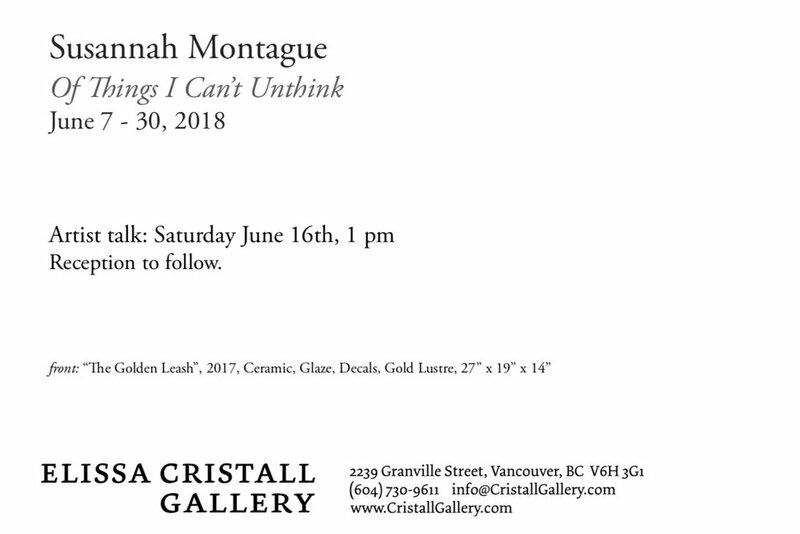 My Of Things I Can't Unthink show will be at one of my favourite galleries, The Elissa Cristall Gallery from June 7 – June 30, 2018. I will be giving an Artist Talk at the gallery on June 16th at 1:00 pm to coincide with the South Granville Art Walk. I'd love to see you there if you can make it! "Susannah Montague’s art is as humorous as it is subversive. 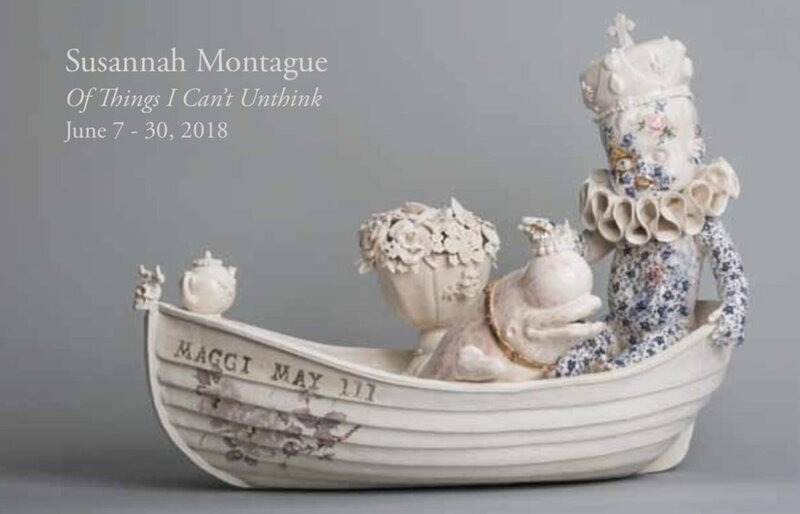 Her pieces are a daydream in clay, wryly communicating the intransience of the human condition. Stepping into her studio is like discovering an Eighteenth-Century Cabinet of Curiosity. Her art is a collection of shamanistic characters which imbibe the peculiar, scientific and mythical qualities involved in creation. Rollicking, cherubic figures wearing masks and antlers frolic among symbols of decay, in a world that is equal parts shadowy and lighthearted. Combined the images evoke a whimsical narrative of folk tales, childhood fantasies, dreams and nightmares."